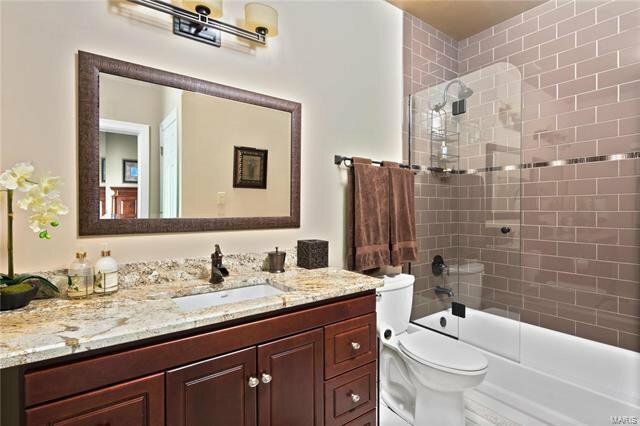 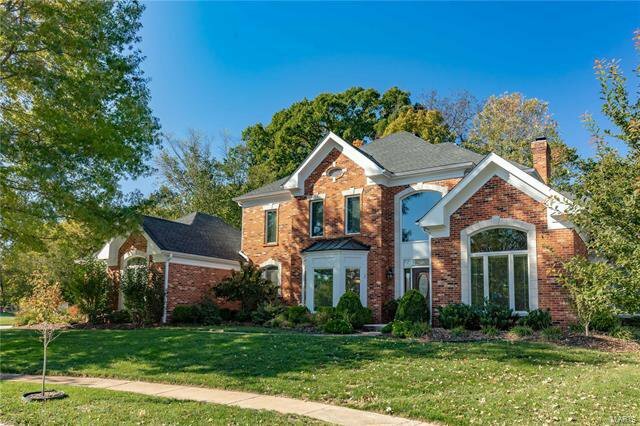 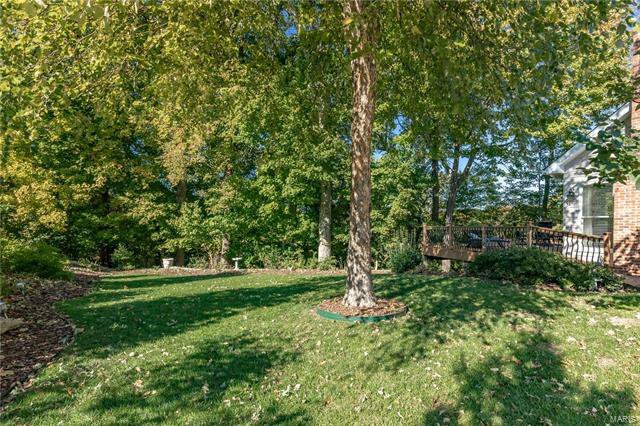 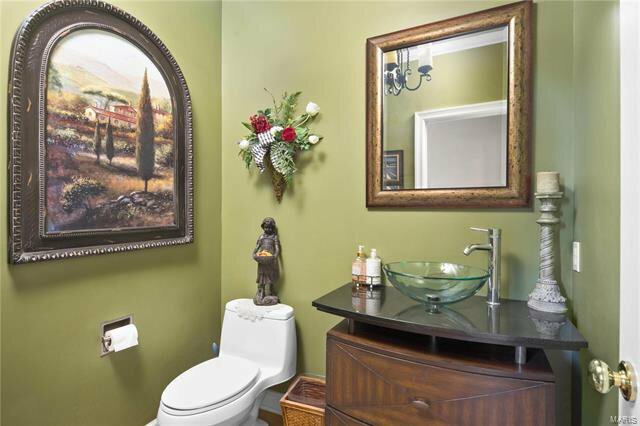 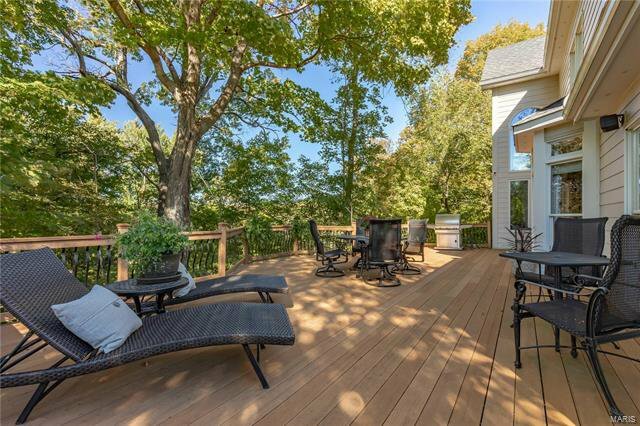 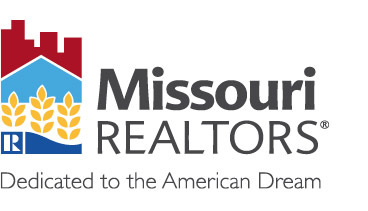 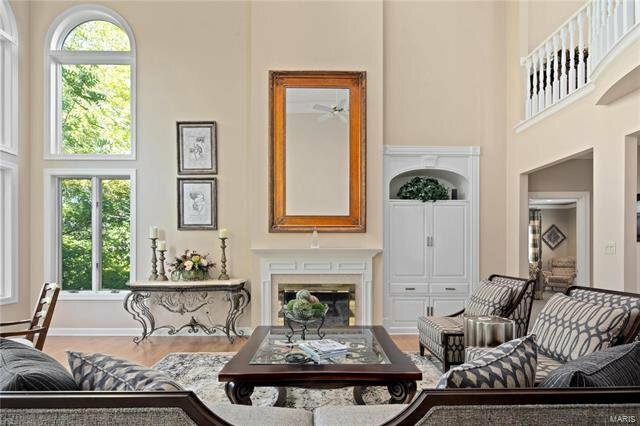 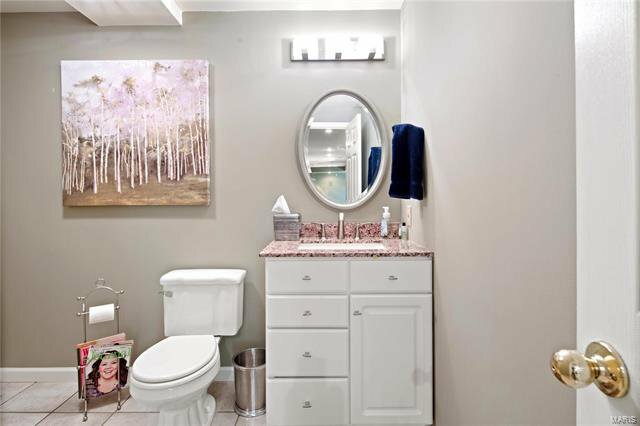 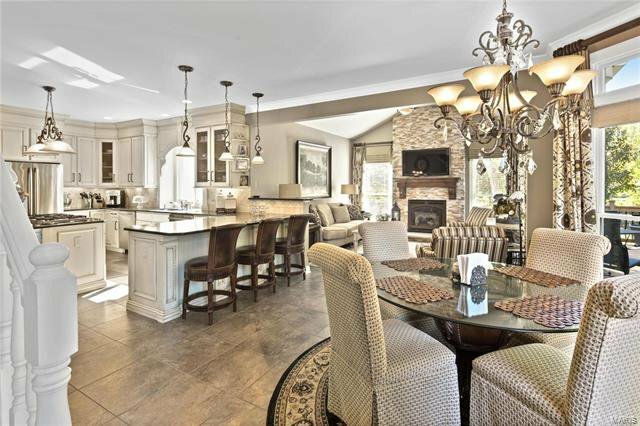 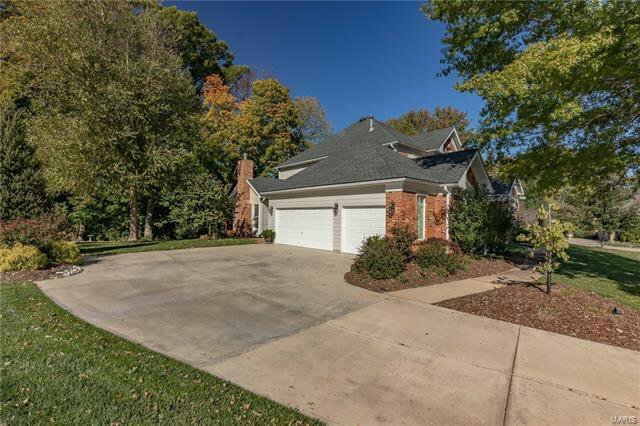 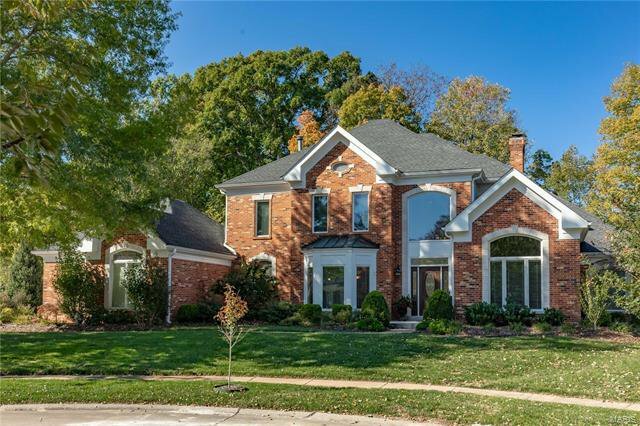 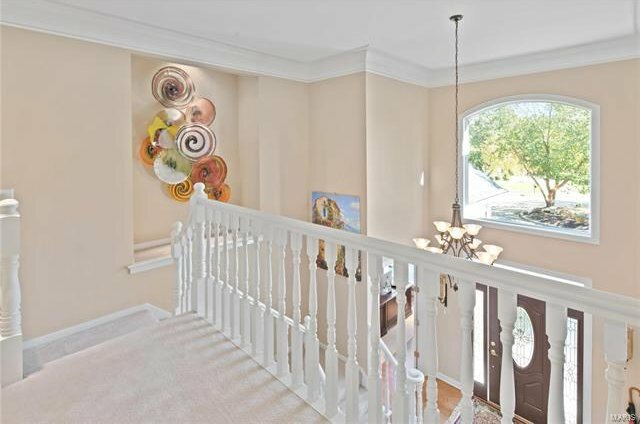 Stunning 1.5 Story home located on a highly desirable cul-de-sac lot. 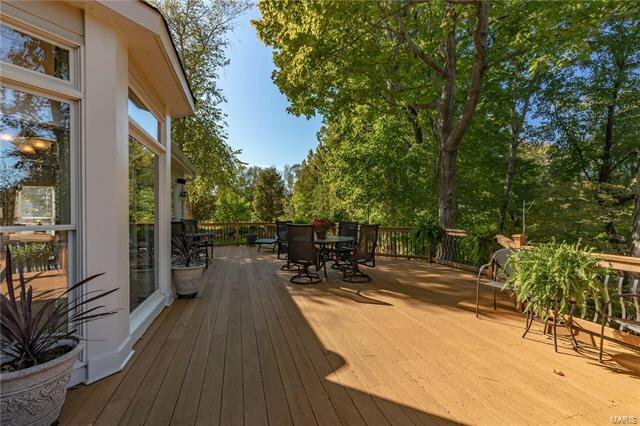 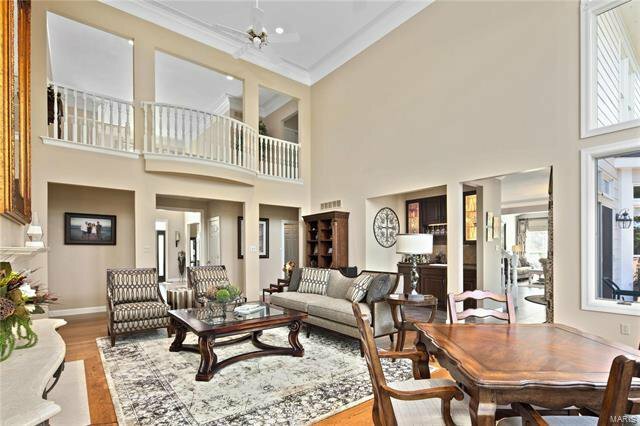 Featuring 4 bedrooms and 4.5 baths with breathtaking views from each window of the Bonhomme Creek. 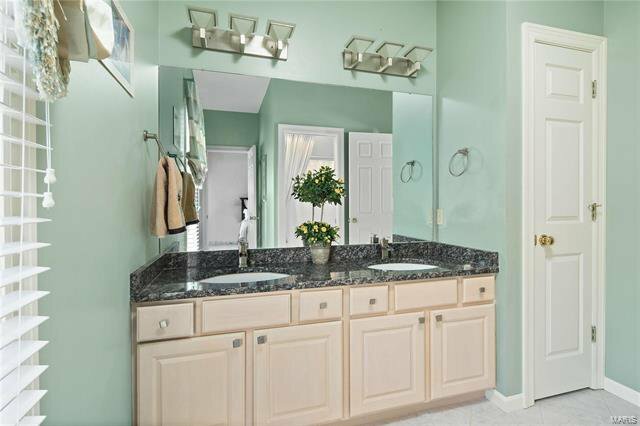 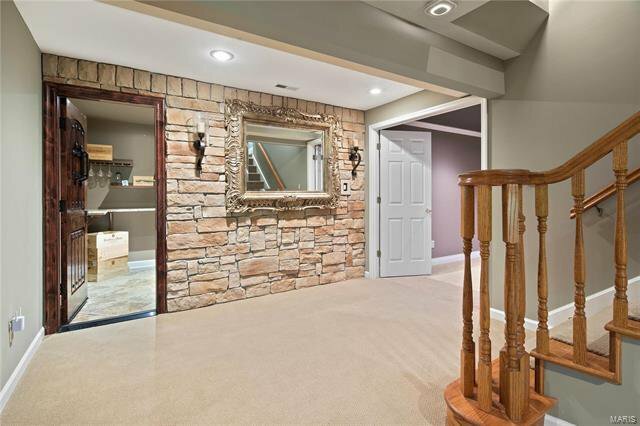 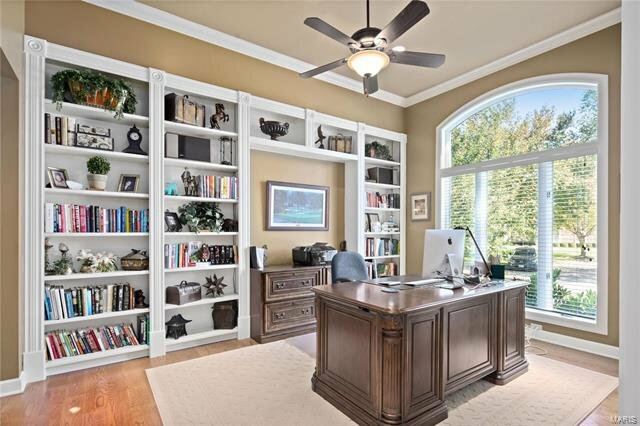 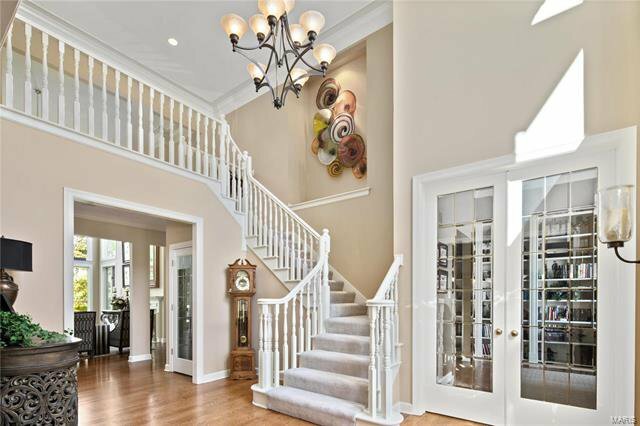 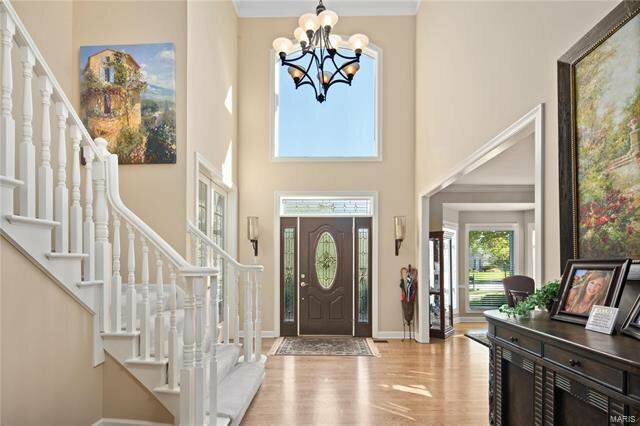 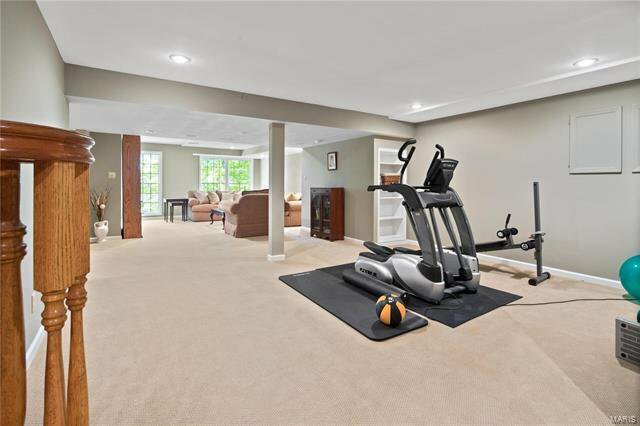 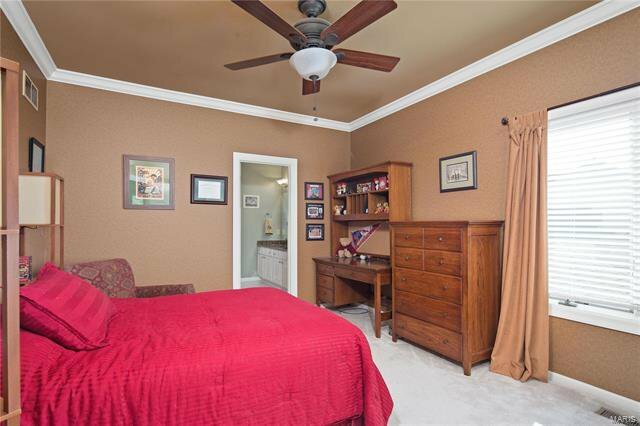 The entry foyer is flanked by a fantastic home office with built-in shelving and crown molding. 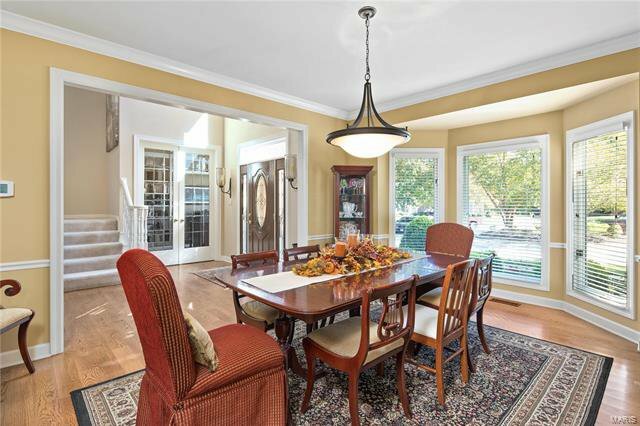 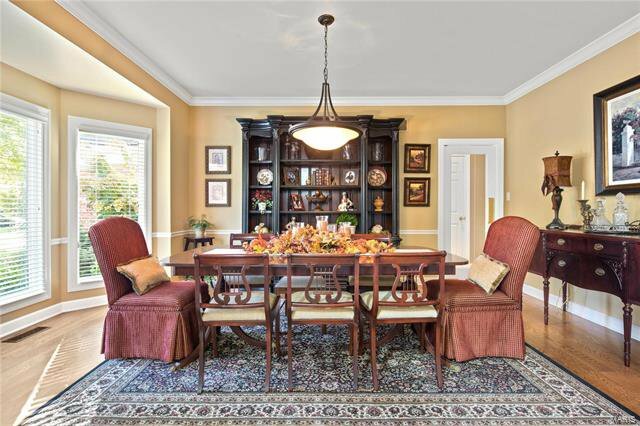 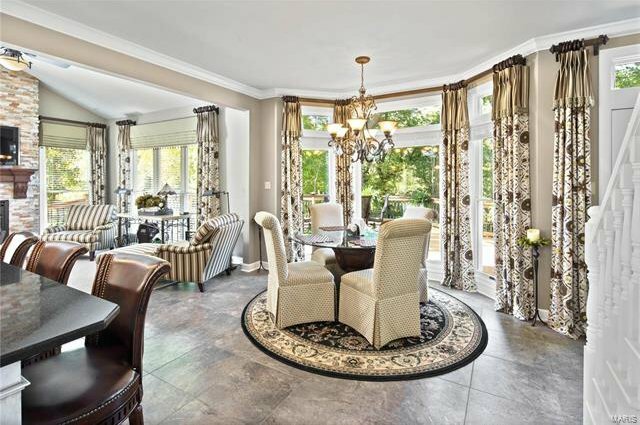 Formal dining room features crown molding, chair rail and swing door to kitchen. 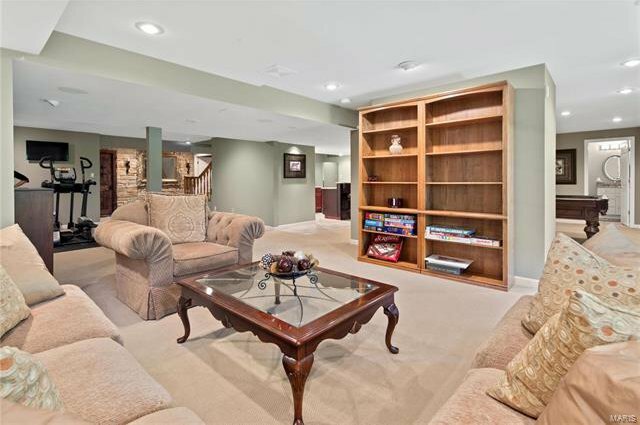 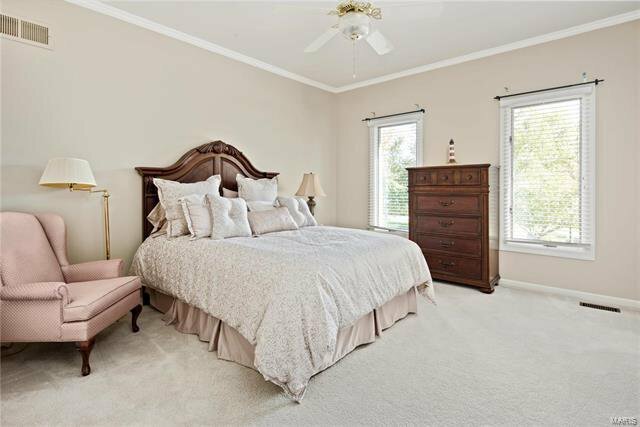 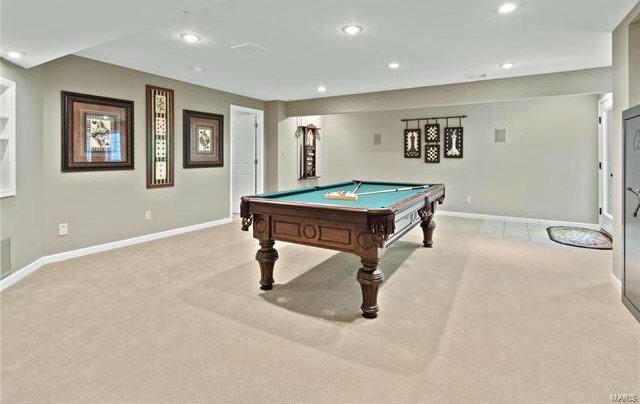 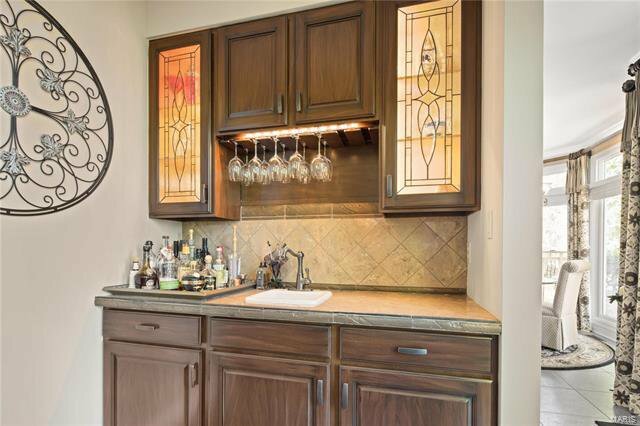 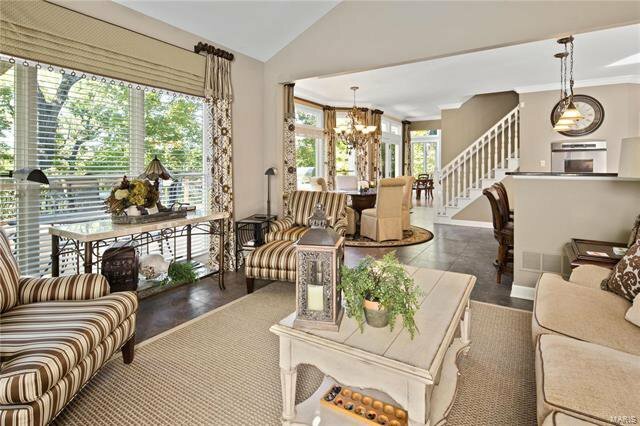 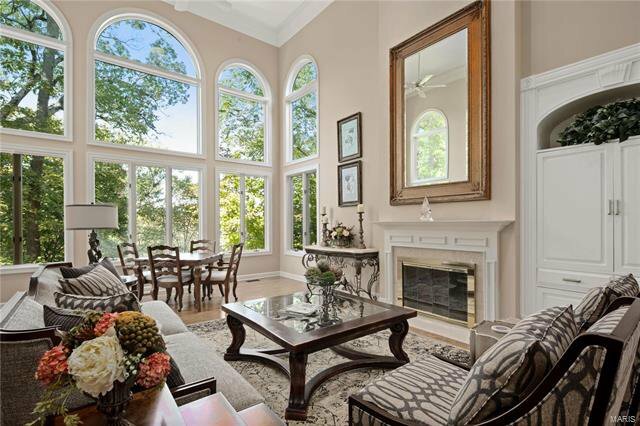 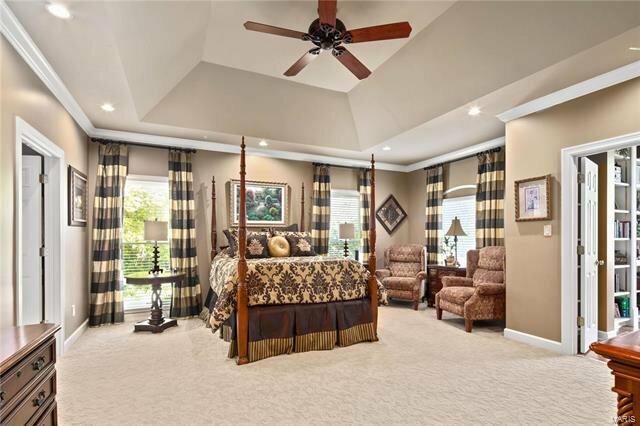 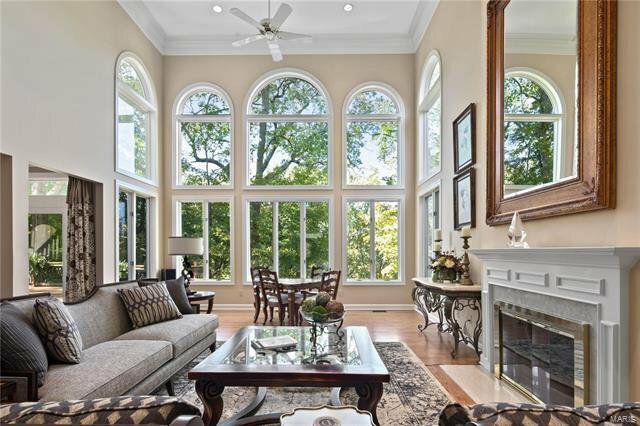 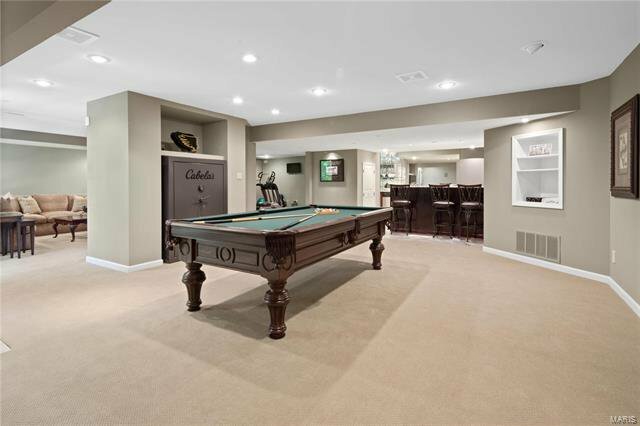 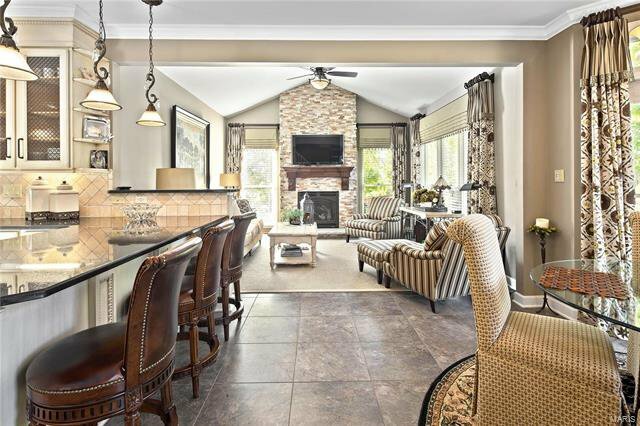 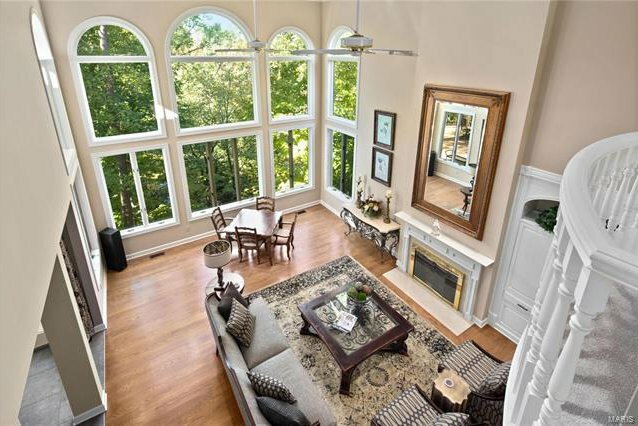 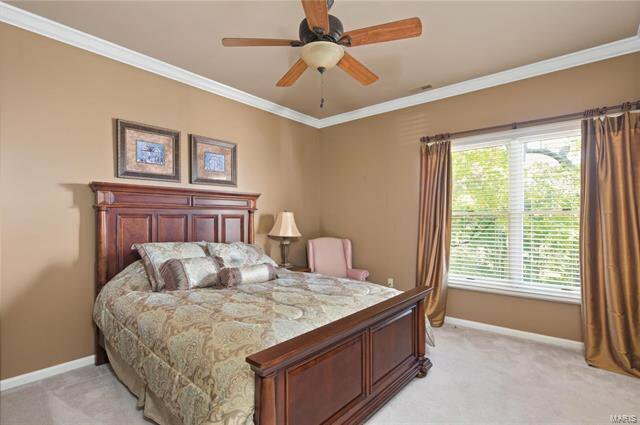 2 story Great Room with woodburning FP vaulted ceiling, built-in shelving and wet bar. 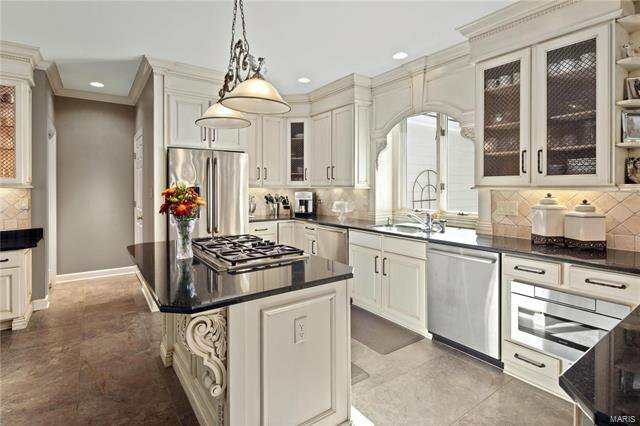 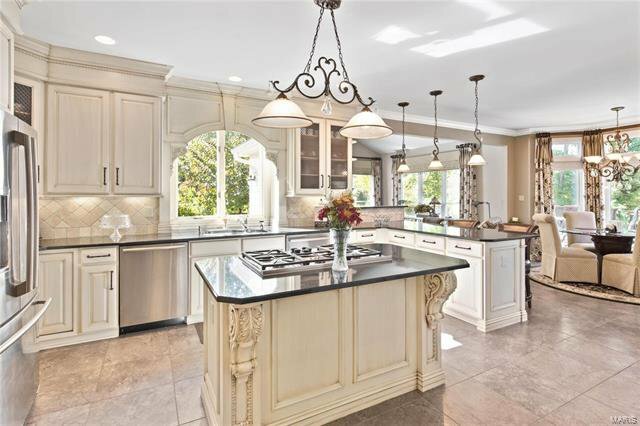 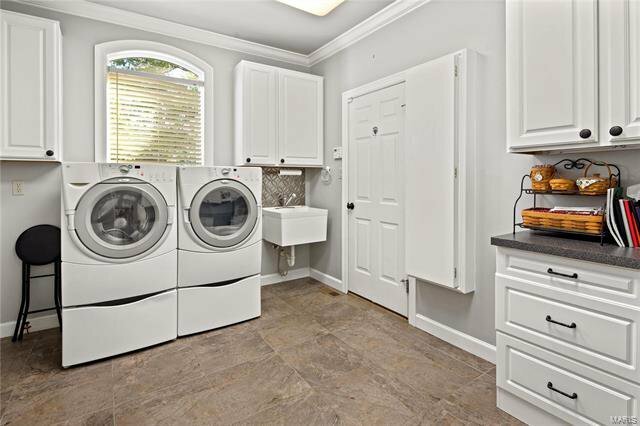 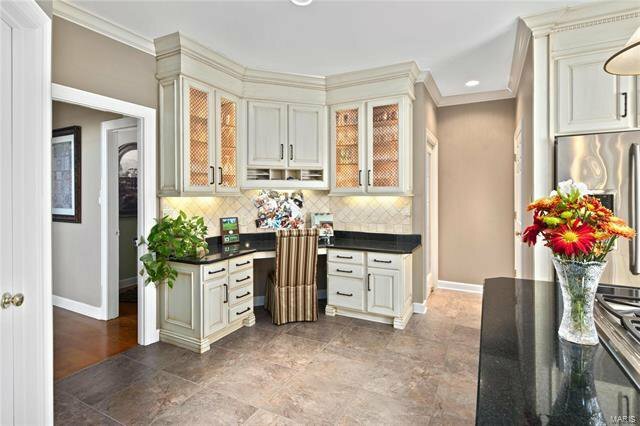 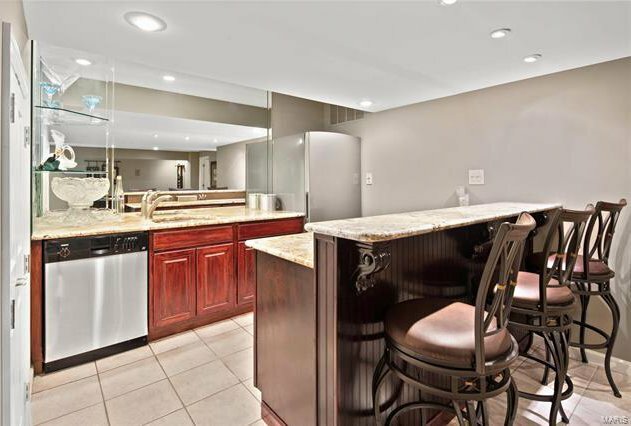 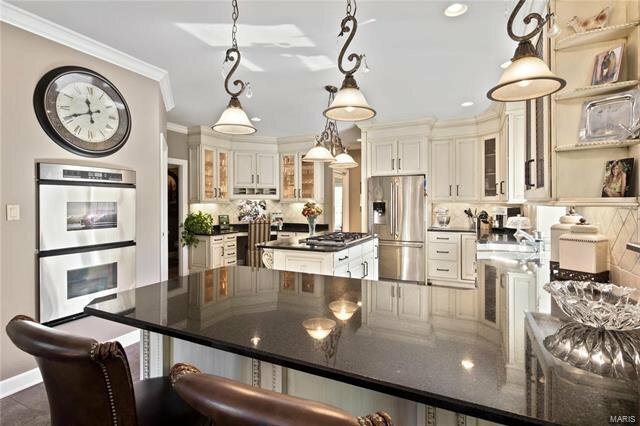 The beautiful kitchen features a large center island, walkin pantry with auto lights, double oven, 5 burner gas cooktop, under cabinet lighting, tile backsplash and custom cabinets. 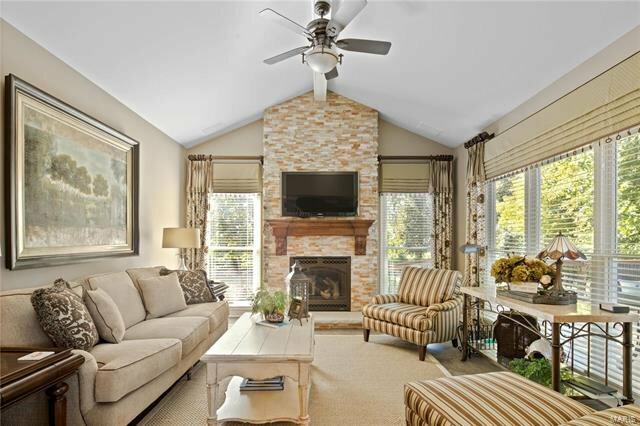 Hearth room has newer (2013) energy efficient fireplace. 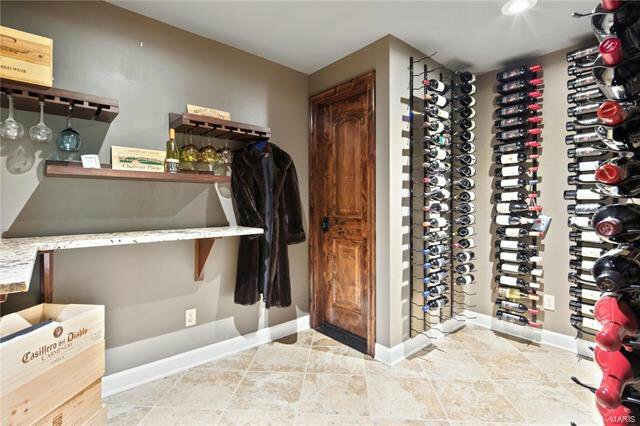 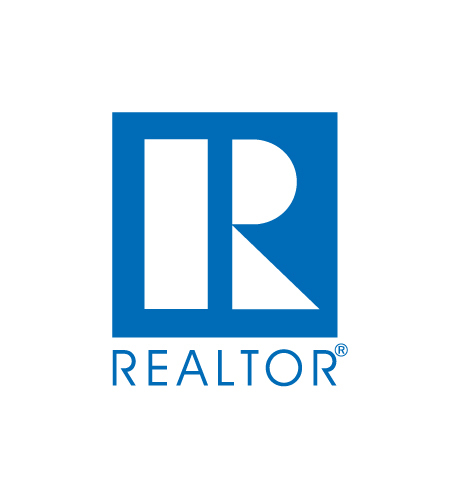 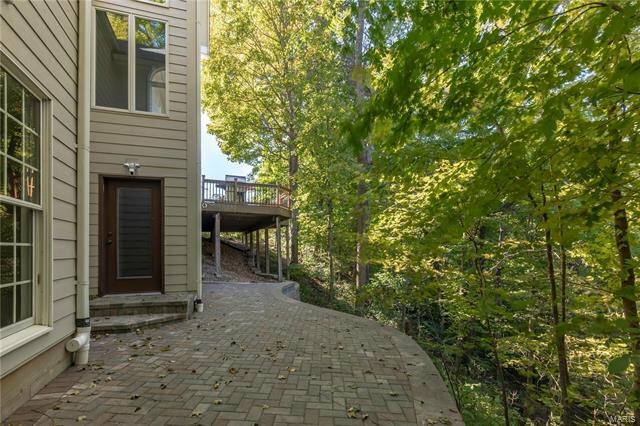 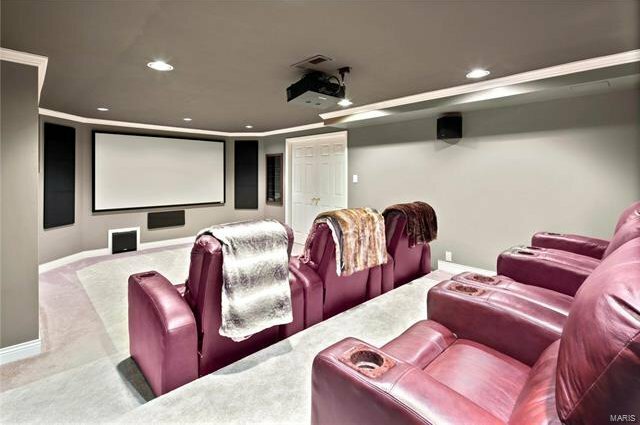 Finished Lower level has Theater room, (projector and furniture stays) wine cellar room holds 300 bottles, wet bar, walks out to lower level patio. 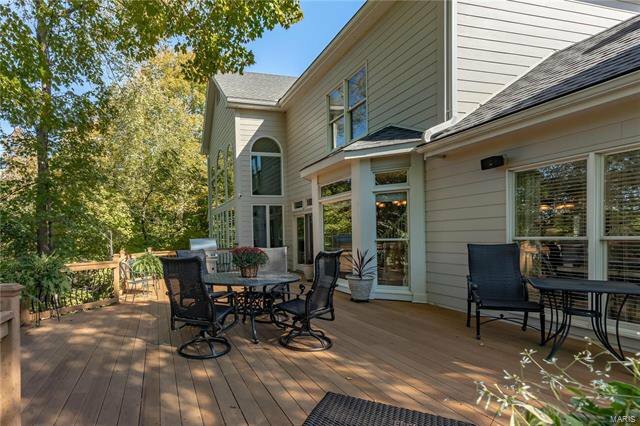 Newer Hardi board siding, Trex decking and is smart home ready.